The Baltimore Regional Dance Survey 2019 Edition is now live. This year, much, much closer to the period of interest (calendar year 2018) – it’s still January! So, memory is a bit fresher, and hopefully that will make things go faster and easier. Major changes in the 2019 survey include a few new questions about dance competitions, and a greatly expanded structure for dance spaces. Several comments about the 2018 survey expressed frustration with the “one size fits all” nature of the site-specific questions. So, for 2019, you don’t have to generalize your answers across all the spaces you’ve been in during 2018 (but you are limited to 12 different spaces for each kind of use). Hopefully this will work out better for everyone. It’s been a busy time, and I’m grabbing as many windows of opportunity as I can, but there’s a lot to do. I decided to prioritize the BRDS launch, so that put the analysis of the 2018 results on a back burner [again]. Still working, I promise! ( https://www.inthedancersstudio.com/s/index.php/941437?lang=en ), or the tag #BRDS2019 with your dance colleagues, students, teachers, mentors, coworkers, and friends. Everyone that learned or taught dance, choreographed, performed, worked with or supported dancers in the Baltimore region during 2018 is encouraged to participate. We really do mean everyone – the experience of the newest, just-had-my-first-class dancer is just as relevant as in-business-for-decades studio owner. Also coming in 2019, we’ll begin studying the impact of dance performance on the audience. If you’d like to participate, please get in touch. Speaking of getting in touch, several people expressed specific challenges in BRDS2018, and I have [potential] solutions for some of you, but… I don’t know who you are. I’m happy to share what I know with anyone that can benefit, but please remember that the BRDS surveys are anonymized, so you have to reach out and let me know how to get back to you. Please don’t hesitate. You are the reason I’m doing this. A little later than I had hope, and this will take longer than last year, but I’ve begun digging through the BRDS 2018 responses. It’s a been a lot of months since the end of 2017, but in the interest of filling in gaps, I’ll leave the survey open. If you have any suggestions about reaching into those parts of the city, please let me know. As you might imagine, I’ve been trying to find (or make) good data on the business of dance. This is no small challenge, but that doesn’t mean it can’t be a little fun along the way. It’s hard to find current data – 2012 research released in 2015 seems to be about as close as we can get. The 2012 NEA States of Engagement report includes this bit of information – Baltimore is part of this, but the Washington, D.C. region probably biases the results a bit (still looking for more granular or current data, if you have any tips). The percent of adults who attended a dance performance in 2012 in the Washington-Baltimore-Northern Virginia, DC-MD-VA-WV MSA (Metropolitan Statistical Area) was about 9.2% (range 7.0-12.0%). Add this all up and it suggests a dance attendance population of about 150,000 people in and immediately around Baltimore. A while ago, I made a short post about dance graduates in Baltimore. Since it’s graduation season, I thought it would be appropriate to fulfill the “I’ll come back to this eventually” promise with a deeper set of data. To begin, I’ll be a bit generous, and include both the University of Maryland main campus (College Park, MD) and Frostburg State University (Frostburg, MD) in the regional scope. UMCP is the only regional institution that offers a Masters degree in dance (designated UMCP-M). This data set represents 792 degrees awarded over 14 years (this isn’t necessarily 792 different dancers – some may have both a Masters degree from UMCP and a Bachelors degree from some other local institution). All institutions combined graduate an average of 56(.6) dancers per year for the past 14 years. As a point of information, because it’s in front of me… In Baltimore and 6 counties surrounding (Anne Arundel, Baltimore City, Baltimore County, Carroll, Frederick, Harford, Howard), I’ve found 71 public school dance programs with dedicated instructors. Most (44) are high schools, with 23 middle schools and 4 elementary schools. It’s not entirely fair (I don’t know about their individual workloads or schedules, and some definitely teach more than dance), but the average teacher salary in Maryland hovers around $60,000. If there are 71 [different] dance teachers in public schools in Maryland, that alone represents something around $4,000,000 in dance-teacher wages. Straying even further into the speculative, if each of these teachers has just 30 students, that’s more than 2000 dancers-in-training in the public schools. Does anyone have suggestions about where to find data to validate the speculative? How many students does a public school dance teacher teach in a given school year? Are dance teacher salaries in line with average teacher salaries? What do the private schools add to this? If you’re new to the BRDS, or just curious about what’s going on here… that will hopefully (!) give you some idea. Once you’ve digested all that, please consider participating in the 2018 survey. 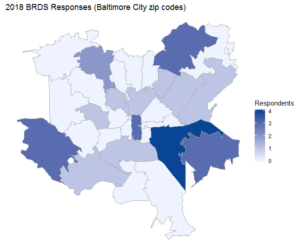 In light of recent Facebook-related scandals, a few words about the Baltimore Regional Dance Survey and how it’s set up. The survey runs on LimeSurvey (and that should be very apparent if you visit the survey page at https://inthedancersstudio.com/brds/index.php/692798?lang=en – the LimeSurvey logo remains in place). LimeSurvey is open-source, so you can check that out. The BRDS website is SSL-encrypted. 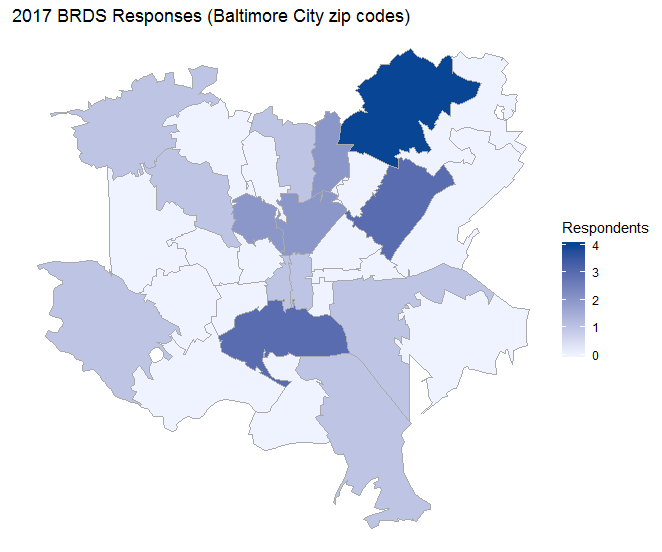 The Baltimore Regional Dance Survey is configured for anonymity (that’s why you get the tokens and links in your registration email) – it’s an extra step, but it removes your email address from your survey results. You do have to register with an email address, and associated with that address is information about when you registered, if you completed the survey, and your first and last names (if you provided them). A special note about email – if you register with an email address that’s different than the one we originally used to invite you (this is perfectly ok), we won’t [necessarily] know you’ve participated, and may keep bugging you. Apologies in advance, but please respond to the invitation email and let us know you’ve completed the survey or don’t want to hear from us anymore (or until there are results to see, or for another year…). There is a question toward the end of the survey about participating in workshops and events – several people have picked “yes” but haven’t followed up with an email outside the survey, which means we don’t know who you are (we can count “yeses” and compare to the inbox, and there’s a big difference). In the Dancer’s Studio does have Google Calendars on the front page (and if you go there, Google CAN track you), but if you stick to the BRDS category (https://www.inthedancersstudio.com/category/research/brds/), there is nothing to track you there. In invitations and registration emails, we’ve tried to make sure that no links take you to a place that can snoop on you. Your participation in the survey and access to results and updates on the survey (like this one) should be tracker-free. Some of those steps do make it more difficult to participate in the survey, and that will reduce participation. Please help us by sharing the survey with your colleagues. While we can’t guarantee things won’t go wrong, we think we’ve done what we can to protect the integrity of the survey and you as respondents. Of course, if you have any questions, please do get in touch. First, thanks to everyone for taking the time to participate! Also, a quick apology for a grammatical omission in the invitation emails. Whoups. Fixed now.